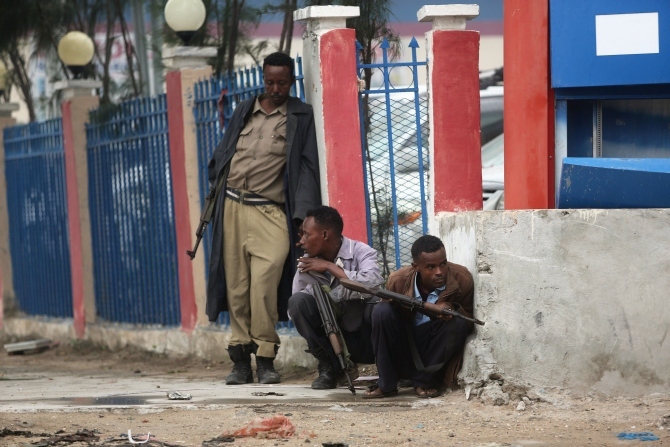 Somalia's Al Shabaab Islamist group launched a suicide bomb attack on a hotel in the centre of capital Mogadishu on Saturday before militant fighters stormed the building, a police officer said. According to several news reports, at least 15 people had died and many injured. Gunfire echoed round the seaside city after the blast and ambulances raced to the scene. The attack on the Nasa-Hablod hotel began when a suicide bomber detonated an explosives-laden vehicle at its gate, the police said. Heavy exchange of gunfire between security guards and the attackers were still going on inside the hotel. Earlier this month, a female journalist was shot dead by unidentified gunmen in Somalia's capital. In previous years, Al Shabaab has often intensified attacks during the fasting month, often picking targets where people gather just before or after breaking the fast.